We received an interesting email the other day. A good friend of ours was looking for a hard working, dedicated young architect to provide some horse-power and design savvy at his architecture practice. He knows we get a ton of resumes and was wondering if we could forward a few of the best candidates his way. Glad to, we said, and we got to work looking through our resume file. 1. Is the package of information clear and concise? + A one page cover letter with a brief intro (a paragraph or two) with a bit of humor thrown in for good measure. Maybe include a line or two relating to BUILD specifically – do we have an architecture school in common, did you attend a lecture of ours, did you study abroad where we did? We don’t need to hear that you’ve dedicated your life to architecture – anyone who made it through architecture school has. + A one page resume with the relevant information: education, professional experience, accreditations. To us, a resume should be everything it needs to be and nothing more–we’d rather see blank space than fluff (and we know fluff when we see it). + A couple of pages of your best work. Part of being a good designer is knowing how to edit; what you don’t show is just as important as what you do. Use that well-trained design eye to filter your work down to its essence. 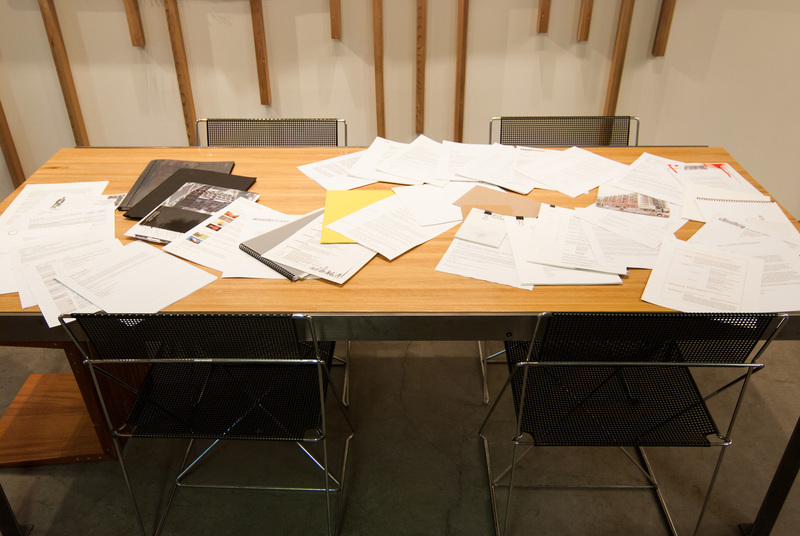 Tip: When we get physical resumes and portfolios in the mail we tend to hang onto them more often (as opposed to emails). We’re not sure why this is; maybe it’s too easy to blast everyone in town with an email, maybe we still appreciate the touch and feel of paper, or maybe it shows that you went the extra mile. 2. Is there a representation of your work on the internet? If you don’t have your work up on the world wide web, we’d like to welcome you to the 21st Century. Having your work online not only gives us quick access to your portfolio, it also lets us know that you’ve got some digital internet skills (a must in a small design firm). There are tons of free platforms on the internet to stake out some ground, put some images up and start getting some global traction. The web address to your digital information should be clearly indicated on your cover letter, resume and portfolio. Your digital presence should include a copy of your resume in addition to your portfolio. In a nutshell, we should be able to send a name and a link to our buddy (who’s hiring) with all of your relevant data. Tip: Honor an employer’s time by not making them hunt for this information. If we have to do a Google search on you to see if you even have an online portfolio, you’ve probably already been passed up by dozens of other applicants that have this base covered. 3. Is the information readily accessible? A couple of physical pages from your portfolio are far more successful than enclosing a disc or thumb-drive with digital information. We rarely have time to screw around with the various digital formats, unknown amounts of data that may paralyze our laptops, and any other curveballs that may be waiting in that harmless looking disc. Tip: If your work is online (see #2) you shouldn’t need to enclose a disc or thumb drive. You can always use the belt and suspenders method of sending a few physical portfolio pages to whet our appetites and a link to your full online portfolio. These 3 factors were recently used to filter 100+ resumes down to 5. It’s a tough economy, no doubt. But there’s work out there if you’re persistent, mindful and in the game. 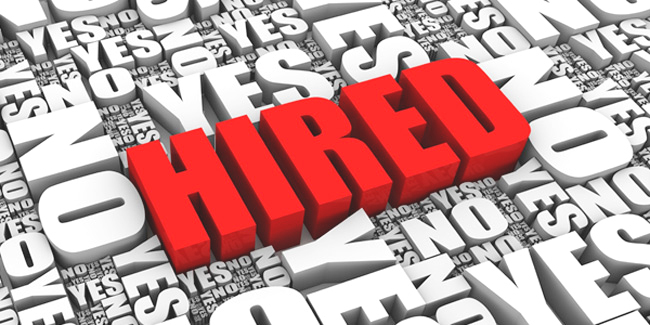 For more on the topic, check our earlier How to *Really* Get Hired blog post. Great tips! 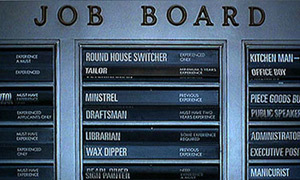 Having been in the hiring role in the past, I sympathize with the daunting task of resume filtering. From a potential applicant’s perspective, however, I’m sure I’m not alone in feeling that if I could just meet with [the employer], I could more effectively establish my ability to mesh with the company and its team or not. I long for the old days of a phone call and personal meeting to assess a candidate. Resumes sometimes feel more like a marketing exercise than a true representation of an entire human being’s persona and potential! How can you know the cut of the applicant’s jib from a piece of paper? I wish the era of instant info could embrace the slower, old ways of apprenticeship as a means of acquiring knowledge and honing skills. Perhaps our desire to make the most money with the least amount of education, experience, and time investment has driven us to this state of over-fluffed resumes and stacks of illegitimate applicants to weed through…This response, like a bad resume, is getting too wordy. Thanks for posting the great advice! @Brandon – Thanks for your insights. Our first post on How To Really Get Hired (see link at the end of the post) discussed more of the face-to-face strategies, and those are definitely of the utmost importance, for the very reasons you’ve expressed. And more so today than five years ago. There are more outlets than ever to potentially connect with employers; understanding how best to to use them (or decide which ones not to use) is the new game. Wordpress is a great free platform and since it’s open source you can always add to it or change it up later.